An amateur radio balloon CNSP-22, call sign K6RPT-11, is crossing the Atlantic at an altitude of 11,150 metres and should reach the British Isles on Friday, February 27. The solar powered around-the-world high altitude balloon was released by the California Near Space Project team from San Jose on Monday, February 23 and is expected to reach the UK on Friday. The APRS beacon should have a radio range of up to 400 km. The amateur radio APRS frequency is not standardized world-wide. The USA uses 144.390 MHz FM while the British Isles and Europe use 144.800 MHz. 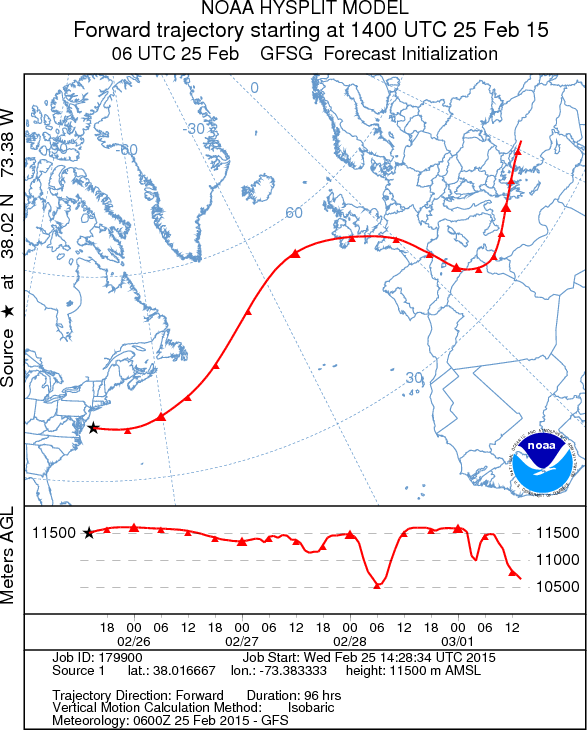 It is understood the balloon will change frequency to 144.800 MHz when it reaches this side of the Atlantic.